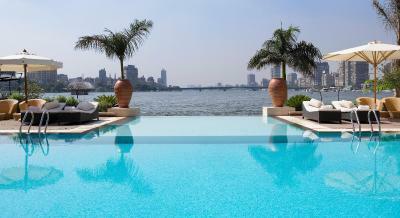 Lock in a great price for Sofitel Cairo Nile El Gezirah – rated 8.1 by recent guests! The staff was amazing, kind, professional, hardworking, went above and beyond to make my stay at the hotel excellent. The breakfast was outstanding besides the staff (Hayam, Mahmoud and all the other staff members) The view while enjoying the breakfast was priceless. Enjy and the front desk was excellent. I can’t tell how much I was pleased with the house keeping staff. It's an excellent hotel near to main attractions.. Nice stuff very helpful and the view is just amazing.. No need to go out u will find everything in sofitel... I love it.. Special thanks to gharam and the whole team who made my stay wonderful.. See you soon.. The restaurants at the ground level directly on the fever although they are very costly. I also liked the breakfast that was excellent in clearness and choises. Great variety of restaurants to chose with excellent cuisines. 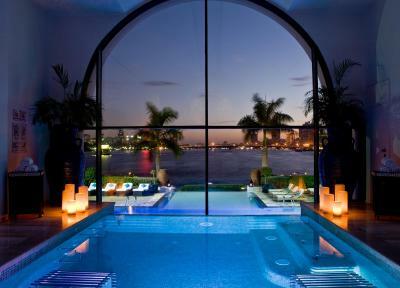 Tha pool area with the amazing infinity pool to the Nile incredible!! 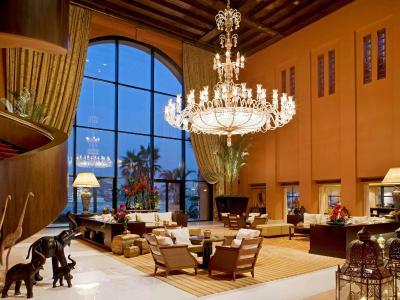 One of the best Hotels in Cairo. Located in the center of the city. Staff are very friendly. 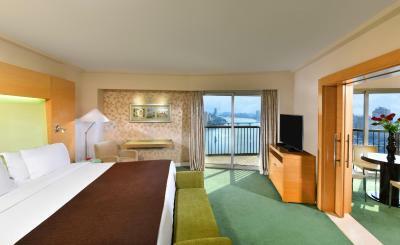 Rooms are clean, comfortable and spacious with amazing views over the Nile. 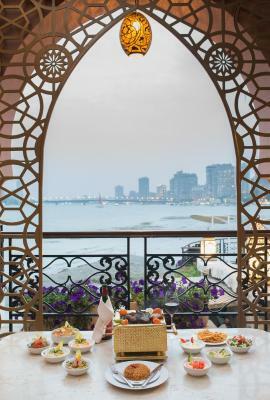 There is a big choice of restaurants with lots of specialties (Italian, Asian, Middle Eastern cuisines...) and the dining area overlooks the Nile. Highly recommended. 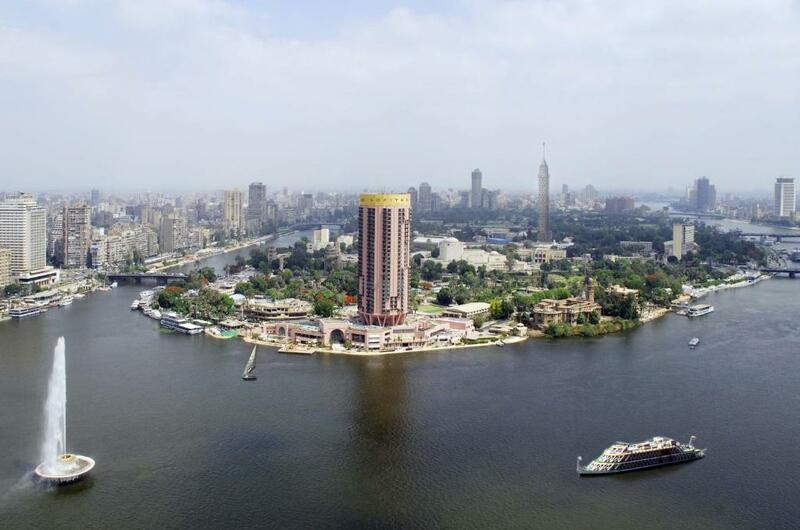 Sofitel Cairo Nile El Gezirah This rating is a reflection of how the property compares to the industry standard when it comes to price, facilities and services available. It's based on a self-evaluation by the property. Use this rating to help choose your stay! 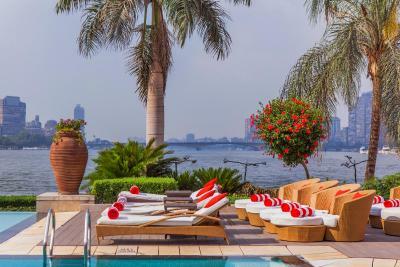 One of our top picks in Cairo.Sofitel El Gezirah is a 5-star luxury hotel with a private promenade along the Nile. Located in the city center, it is within walking distance to the Opera House and Cairo Tower, as well as the Egyptian Museum and Khan El Khalili. It features an infinity outdoor pool. Free WiFi is available in all areas. 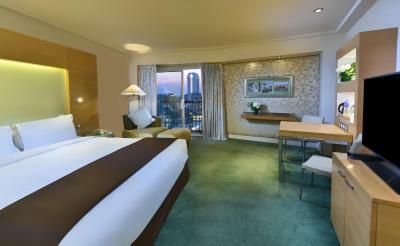 All guest rooms at the Sofitel El Gezirah hotel feature air conditioning, satellite TV, free basic WiFi and a mini-bar. 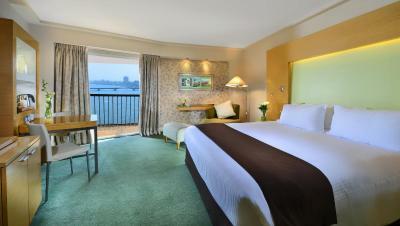 Many rooms provide far-reaching views along the River Nile and across the city of Cairo. The hotel has 7 restaurants, which include Moroccan, Egyptian, Italian and Asian specialties. There are also 3 bars including the trendy Le Duplex Bar and Window on the Nile. Sofitel Cairo Nile El Gezirah has a range of leisure facilities, including a spa complete with a swimming pool, a hammam, and fitness center. A hot tub is available with massage packages. Tours and trips can be arranged at the concierge desk. 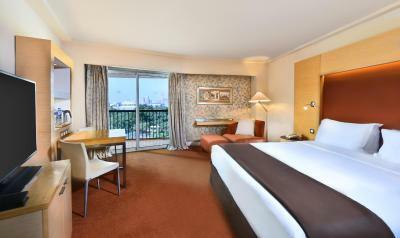 Sofitel Cairo Nile El Gezirah is 12 mi from the international airport. Private on site car parking is available. When would you like to stay at Sofitel Cairo Nile El Gezirah? This Prestige Suite features a private balcony, a living room, a mini bar and free WiFi. The bathrooms are fitted with a rainfall shower, a bath and complimentary Lavin amenities. 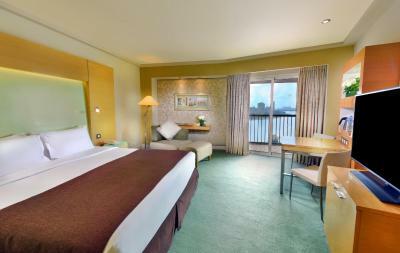 This room features a private balcony with full Nile view. It has a flat-screen TV, a mini-bar and free Wi-Fi access (High-Speed Internet upon supplement). The bathroom is fitted with a rainfall shower, a tub and free Lanvin® amenities. This Luxury Club Room features a private balcony overlooking the Nile and free WiFi. The bathroom is fitted with a rainfall shower, a bath and complimentary Lanvin® amenities. 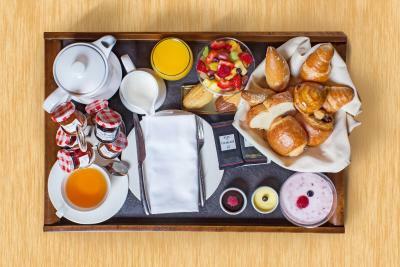 Breakfast and other refreshments are offered at Club Millésime. Featuring a private balcony overlooking the Nile and Gezirah Island, this room features a blend of French and Oriental décor. It includes a flat-screen TV, a mini-bar, free Wi-Fi access (High-Speed Internet upon supplement). It has signature MyBed®, a rain shower , a bath and Lanvin® bath amenities. Free movies are also available. Featuring a balcony with partial view of the Nile, this spacious, air-conditioned suite offers a blend of French and Oriental décor. 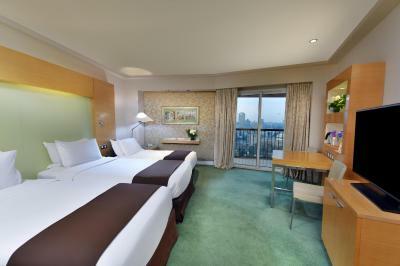 It includes a separate living room with a flat-screen TV, a mini-bar and free WiFi (High-Speed Internet upon Supplement). It includes BOSE® music system, Signature MyBed® amenities and a mini-bar. The bathroom is fitted with a rain shower, complimentary Lanvin® products. This suite also provides complimentary breakfast at the main restaurant. Featuring panoramic views over the Nile, Opera King Suites offers a spacious living room, WiFi, two balconies and a Nespresso® machine. The bathroom is fitted with a rainfall shower and a soaking tub and provides complimentary Lanvin® amenities. 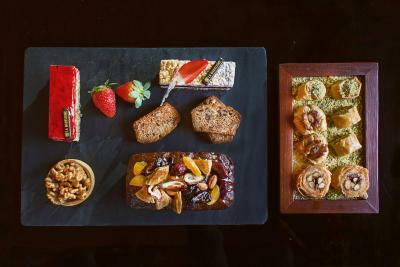 Club Millésime lounge offers complimentary breakfasts, snacks and a butler service. 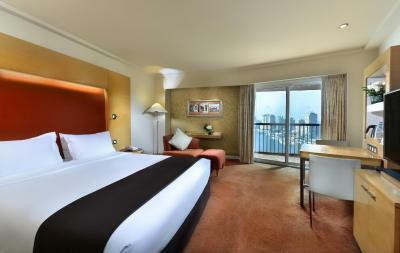 Featuring a private balcony overlooking a partial Nile view, this room features a blend of French and Oriental décor. It includes a flat-screen TV, a mini-bar, free Wi-Fi access (High-Speed Internet upon supplement). It has signature MyBed®, a rain shower , a bath and Lanvin® bath amenities. 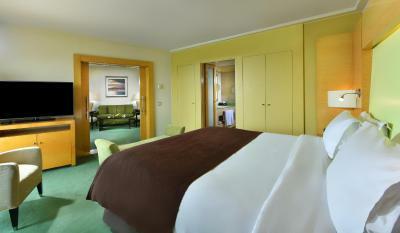 Featuring a balcony, this room offers WiFi and a bathroom with a shower and a bath with Lanvin amenities. This double room features a balcony, hot tub and mini-bar. 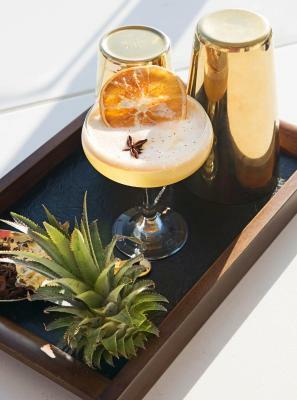 House Rules Sofitel Cairo Nile El Gezirah takes special requests – add in the next step! Sofitel Cairo Nile El Gezirah accepts these cards and reserves the right to temporarily hold an amount prior to arrival. Please note that as per Egyptian Law, foreigners will have to make payment in USD. Guests are required to show a photo identification and present the credit card used for booking upon check-in, otherwise payment will be invalid and another Credit card will be required. Please note that all Special Requests are subject to availability and additional charges may apply. There's no water hose for the toilet and that was a major inconvenience. I very much enjoyed the magnificent view of the Nile River from my balcony. I appreciate the dedication of the staff, particularly Musleh Sayyed. Overall it was a good experience. I don’t have. Everything was perfect. 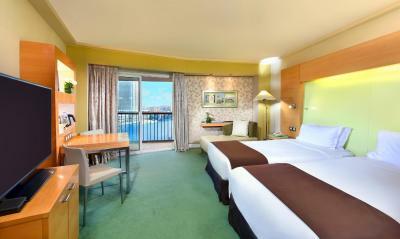 Great location, beautiful hotel and comfortable rooms. 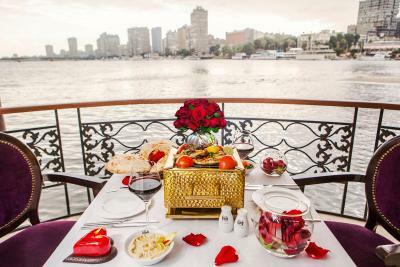 Perfect view of the Nile river also extremely fantastic breakfast. The restaurants were so amazing. I love it. I really do recommend a Sofitel Cairo 5 stars. The fans outside our room (another building close by) were really loud when our balcony door was open. The balcony was too small to sit on and there was no furniture to sit out. We were disappointed that we had to pay extra for the jacuzzi, we paid a lot of money to stay in a 5 Star Hotel. The key cards to our rooms regularly failed. We had to change our keys about 20 times during our stay. The hotel needs to have a no smoking policy in public areas, it was really unpleasant in the bar area for our family. It was a perfect location on the confluence of the Nile. Beautiful views over the Nile and city. Really helpful and friendly staff. The bedroom, the very small beds, the size of the room for 2 people, it was not clean enough, things were not working (a/c, shower etc). Also too crowded and no atmosphere. We were supposed to stay for a 3 nights stay but left for the Marriott after the 1st night. Reception staff is under training. They served me and more than 2 at the same time. They are not helpful and they need a lot to improve in customer service. They don’t even know how to calculate the rate and every time they gave me different price! In the check in was different than the check out. Thanks god that I contacted booking during my stay and the sent me the total price. The view was amazing and the house keeping is very good. It was pretty expensive. Especially when you add in the taxes and service charges which ends up being about 28% above the anticipated costs. The worst hotel experience in the world, The most unfriendly unprofe*sional staff in the world, I had guests staying at the hotel, and they were treated so badly and in the most unfriendly way starting from reservations ending up to reception. Absolutely a disgrace on the Accor hotel series, I don't know how they are keeping them among the excellent chain of Accor! ?